Siblings Ambelin and Ezekiel Kwaymullina have teamed up again on this distinctly Australian hybrid YA novel that blends thriller, crime and ghost story elements. Set in contemporary times, the book unfolds in two distinct voices—one using prose, the other in verse. The first voice is Beth Teller, a young Aboriginal girl who died in a tragic accident. Beth can communicate with her father, a detective struggling with grief, and she teams up with him to solve a puzzling case of arson and murder in a small town. The other voice is Isobel Catching, a young Aboriginal girl whose fantastical story holds the clues to the interconnected crimes that are gradually revealed over the course of the book. A highly anticipated novel, Catching Teller Crow can be compared to Alice Sebold’s The Lovely Bones and E Lockhart’s We Were Liars. The authors subtly weave the history of colonisation throughout the story, and themes of grief, racism and violence are balanced with those of family, friendship and survival. 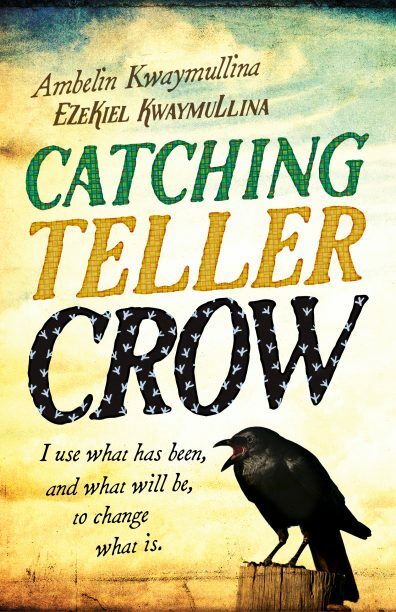 Catching Teller Crow is aimed at 14- to 18-year-olds, but this book will have a broader readership as it features strong Aboriginal female characters and is written by two well-known Aboriginal authors. With its historical and contemporary themes, it will also be of interest to secondary students studying Australian history and society.